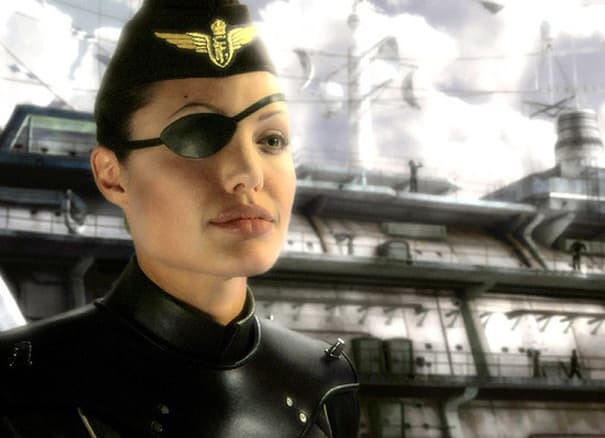 Oddly, we kind of prefer Angie with an eyepatch. After all, her lips are the main attraction, so the obstruction of her one pupil draws more attention to those pouty kissers, and there’s nothing wrong with that. As fighter pilot Franky, Jolie flies right into our dirtiest thoughts, lands safely, and establishes residence. And we can’t get enough of her, ahem, cockpit expertise.